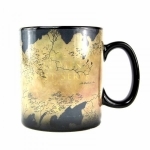 This Game of Thrones Westeros map heat changing mug is sure to get your morning off to a strong start. 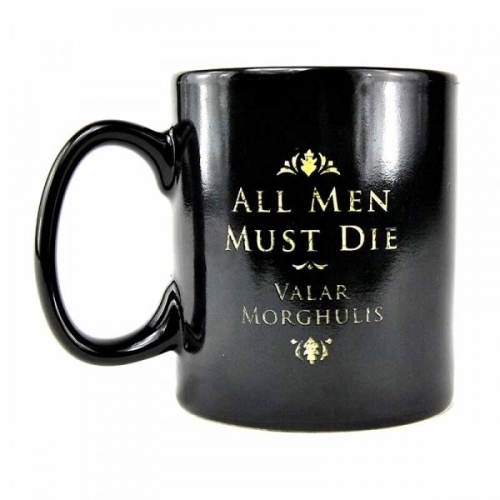 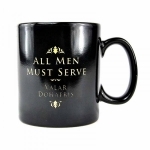 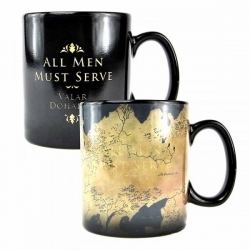 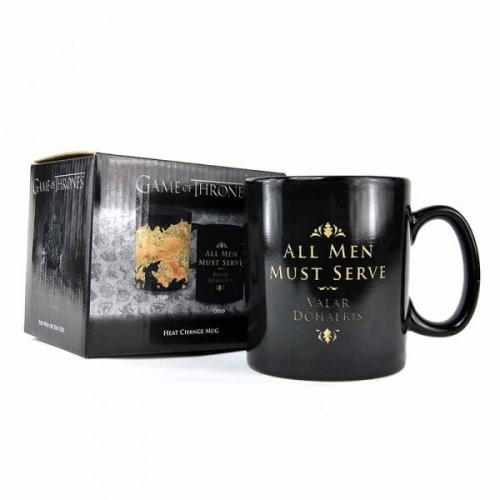 Cold, the mug shows the phrase "All Men Must Serve" and its High Valyrian translation "Valar Dohaeris" on the front, and "All Men Must Die" and its translation "Valar Morghulis" on the back. 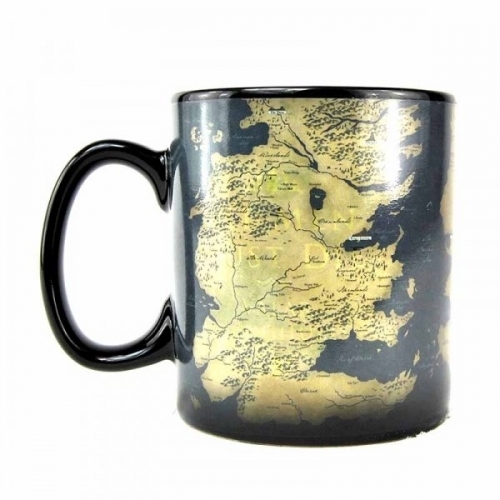 When hot liquid is poured in, the mug transforms to reveal the maps of the Westeros and Essos continents. Once the drink is finished the mug returns to its original state as it cools.